Individuals with a dull, rough, or mottled complexion can benefit from dermal infusion, microneedling, or chemical peels. These treatments enhance skin quality by encouraging cellular turnover and promoting circulation, which results in softer, renewed skin with better tone and texture. After just one session, you will notice a visible improvement in your skin's brightness, clarity, and overall health. Depending on your individual concerns and intended level of improvement, either dermal infusion, PRP Vampire Facial, or a chemical peel may be recommended. Dermal Infusion or PRP Vampire Facial is frequently used to treat fine lines, wrinkles, scars, acne, dark spots, and even stretch marks. Chemical peels can correct several of the same concerns – including dark spots, wrinkles, and acne – but are also very effective for sun-damaged skin, rosacea, and skin laxity. During your initial consultation, you will be evaluated by Dr.Kaga and she will suggest the appropriate mode of treatment. Although both dermal infusion, PRP Vampire Facial, and chemical peels address the outer layers of the skin, they differ in their delivery method. 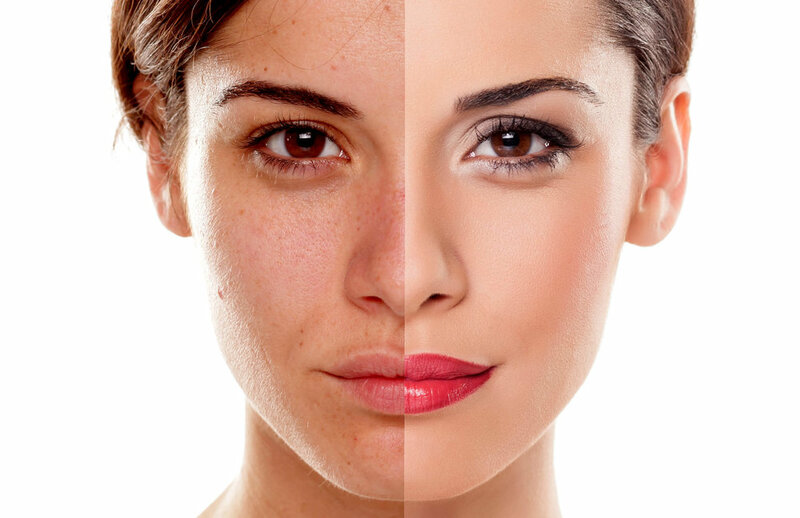 During a chemical peel, a topical solution is applied directly to freshly-cleansed skin. This solution can vary in strength to produce a mild, moderate or deep peel, and may be left on the skin for 10 minutes or more, depending on the type of peel used. Most patients experience a warming or tingling sensation within the first 10 minutes of application, which is not usually painful. A local anesthetic may also be used prior to deep chemical peels for enhanced comfort. After the solution has been allowed to penetrate the skin, a neutralizing agent is applied and the chemical peel is removed. The PRP Vampire Facial is performed using platelet rich plasma. When PRP is placed back into the skin by injection or micro-needling, it initiates a localized stem cell response. Over the weeks and months following treatment, this stem cell response recruits collagen-producing cells called fibroblasts. The fibroblasts replace tissue that has been damaged or lost through the aging process with healthy skin that looks refreshed and rejuvenated. The number of sessions needed varies by treatment and individual concerns. To maintain and improve skin health, an effective skincare regimen must contain three fundamental elements: Prevention, Protection, and Correction. Designed to prevent signs of future damage, protect healthy skin, and correct the appearance of previous damage, SkinCeuticals is committed to advanced skincare products that are backed by science. Fill out the contact form below to be scheduled for a complimentary skincare evaluation.